#2,156 Rudy. – Laurel Mercantile Co. It used to be a family tradition with my parents to watch Rudy every year around Thanksgiving, but somehow we got too busy and the tradition fell to the wayside. Tonight we brought it back, on the sofa at their house with a wicked storm headed our way, but we forgot that for a little while and spent 2 hours in South Bend with our old friend. 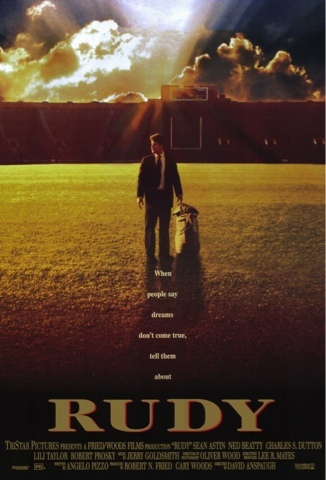 I don’t know when you last watched Rudy but it wasn’t recently enough. Time for a re-watch! #2,157 11 Hours + Church Thanksgiving.